Whether you’ve embraced BIM (Building Information Modeling) or still have your doubts, it’s here to stay. And it’s already changing the construction process in some pretty fundamental ways. 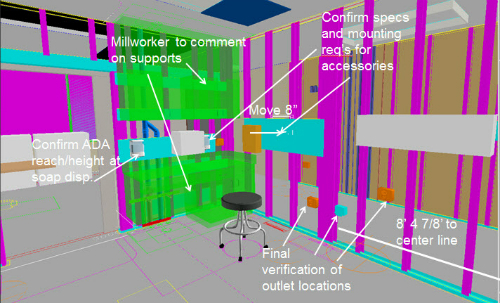 This post is the first in a three-part series about the use of BIM in construction. Stay tuned in the coming weeks for Part 2—The Bad (now posted!) and Part 3—The Inevitable (now posted!). BIM is blueprints on steroids. …but those are some powerful steroids! To expand a little, BIM is a virtual 3D model that represents the facility to be built, with all of its systems and functional and physical characteristics displayed in relation to each other, as well as data about every aspect of the project. If you’re an owner, architect, or designer, you probably already understand the value of BIM: find conflicts earlier, visualize the finished facility, automate repetitive tasks, and make sure all parties are on the same page from the start of the project. But as the project moves into construction, what benefits does BIM have if you’re a GC or a subcontractor? Detect and resolve conflicts between systems before construction begins. Using BIM saved SERA ARCHITECTS and JE DUNN CONSTRUCTION $10 million on a 650,000-square-foot life sciences building for the Oregon Health & Science University. For example, BIM helped them identify a pipe intersecting with a vent so they could make changes before construction began. BIM software detected the intersecting pipe (highlighted in red). Image courtesy of Co.Design. Because everyone is working from the latest version of the plans, you’ll never miss an update and your questions can be answered faster. TURNER CONSTRUCTION found BIM to be invaluable when building a high school in California, because it nearly eliminated the time needed for RFIs. Image courtesy of Turner Construction, via Autodesk. Visualize untested or complex processes to predict problems before they happen. SUNDT CONSTRUCTION did its own concrete work for a water processing facility project. They used BIM to plan the sequencing of the individual pours. Reduce risks created by inadequate perimeter protection and unsafe site layouts. 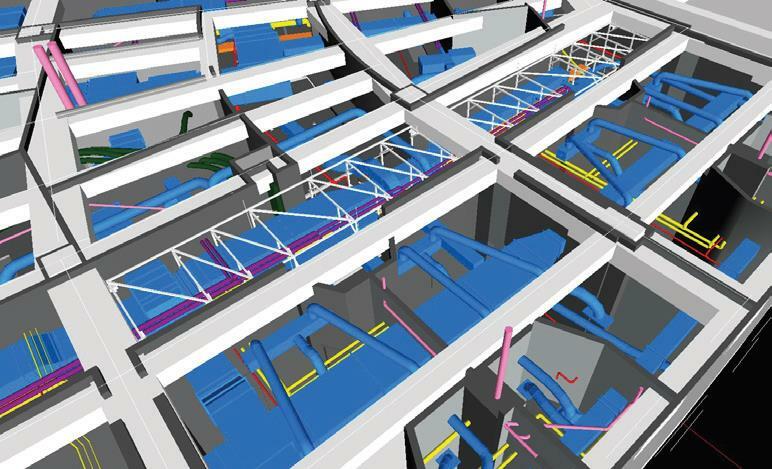 Subcontractor SOUTHLAND INDUSTRIES uses BIM to block off areas that require regular maintenance and make service aisles safer. Save cost by prefabricating some items in the shop instead of on the spot. DPR CONSTRUCTION and its subcontractors saved 18.75% on mechanical systems and 50% on the fabrication and installation of drywall by using BIM data to prefabricate steel-framed drywall panels and have them shipped to the site in sequence. Image courtesy of DPR Construction, via Line/Shape/Space. Know upfront what materials you’ll need to take advantage of economies of scale and just-in-time ordering, resulting in lower costs and less waste. On the expansion of a children’s hospital in Alabama, HOAR CONSTRUCTION invited all subcontractors to use the BIM model before construction even began. Image courtesy of Hoar Construction, via Autodesk. Avoid project delays by making sure everybody has the equipment, materials, plans, and instructions they need, when they need them. TOCCI BUILDING COMPANIES uses BIM to pinpoint a temporary site exposure, identify the window of time it will be a safety risk, and quantify the materials needed to protect the area. Collaborate with designers to ensure constructability and potentially cut costs. As construction manager at risk for a residence hall at Framingham State University, CONSIGLI CONSTRUCTION needed to save time and money wherever possible. With BIM, they could find opportunities to reduce materials costs and streamline the construction process without making significant changes to the design. 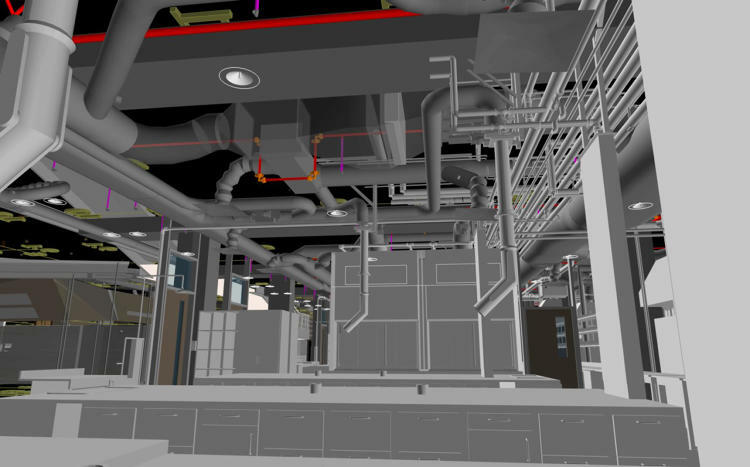 As an integral part of the construction process, manufacturers can also benefit by using BIM. BIM models are more accurate when they include representations of actual products instead of generic placeholders. If you have a BIM object for your product and your competitor doesn’t, who’s going to get spec’d? 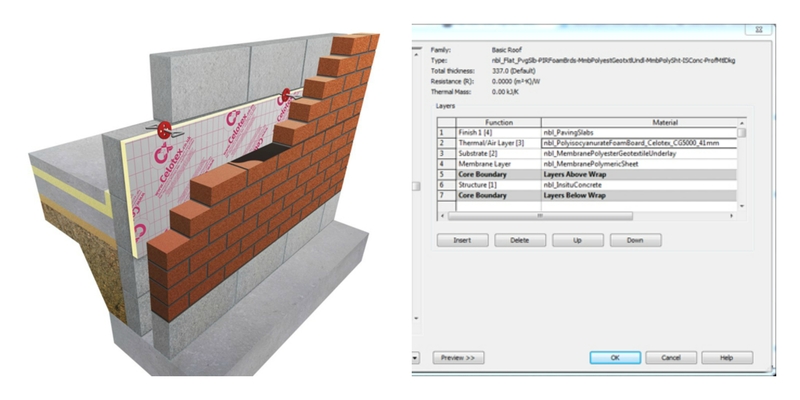 CELOTEX was the first insulation manufacturer to create BIM objects for its entire product line. Having that edge has directly led to sales inquiries from architects during the design phase. Image courtesy of RIBA Insight. With the information from a BIM model, you can build more accurate products and develop more efficient schedules. And creating a BIM object for the custom product before you begin fabrication will let you (and your customer) see how it will fit into the space and integrate with the systems. CUBICLE CENTRE estimates that it saves five working weeks by making 3D product data available to design teams, who output fabrication drawings faster and more accurately. What Do You Think About BIM in Construction? 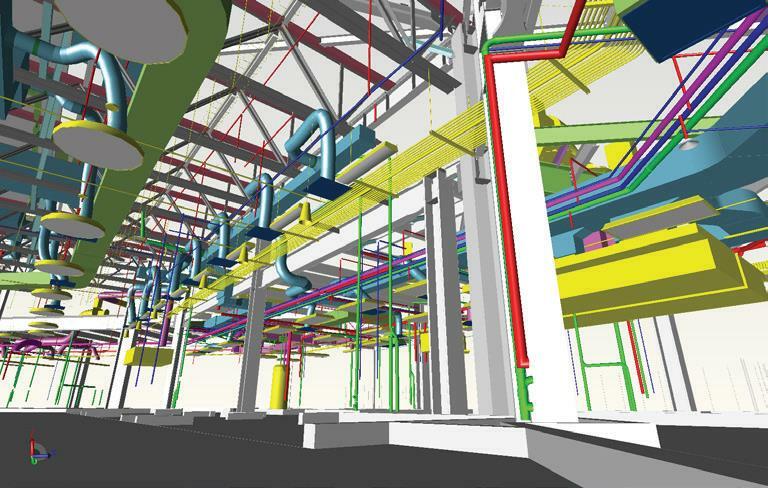 Are you convinced about the benefits of BIM for contractors and manufacturers? Or are you looking forward to reading about the cons next week? Tell us what you think in the comments, and let us know what your job is. Don’t forget to check back for Part 2—The Bad (now posted!) and Part 3—The Inevitable (now posted!) in the coming weeks! Subscribe to our blog, or follow us on Twitter (@isqft), Facebook, or LinkedIn and we’ll let you know as soon as it’s posted.